Poetry Shelf aims to feature a poem by a secondary-school student on the last Friday of every month. I have received a bundle of poems from which to pick one to post. 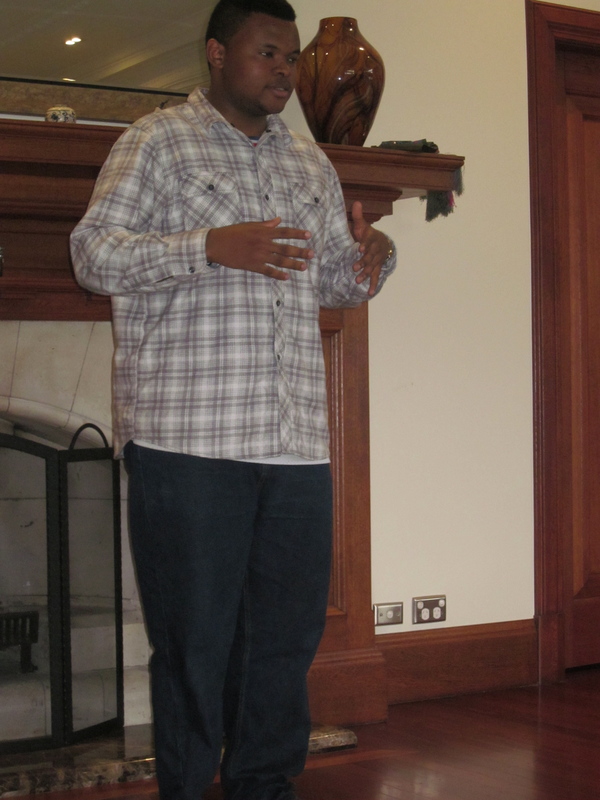 Many of the poems were full of emotion and were circling dark and difficult subject matter. The trick of writing a poem that will hook and then keep the attention of the reader is to explore how emotion can serve the poem rather than control the poem (a bit like rhyme really). Real detail, attention to the sound of the line, not giving everything away, laying down clues can help, playing with the form of a poem — this can help create a poem that moves rather than overwhelms. The poem I picked does circle difficult subject matter, but it is surprising, mysterious, thoughtful, daring, fresh (remember this is not a formula for what makes it a good poem, but just happens to be what this poem does). I like the way the poet doesn’t spell everything out. I like the overlapping circles in the poem; the way graceless is transformed into gracefulness, the way night becomes day, the way difficulty becomes ease. The rhythm of the lines add to the mood; they puncture the dark of the night with their varying lengths. This is a poem I wanted to read again, and of all the poems I got sent it is the one that stuck in my head. I am the Tuesday that never came. I am the 11:45pm siren from falling out of dreams. I am the awkwardly disguised leap years and the numbing of your limbs. and you are somewhere near the stars. so I knew we would be okay. This entry was posted in Poetry and tagged Friday Poem on September 27, 2013 by Paula Green. This entry was posted in Poetry, Poetry Events and tagged Poetry readings on September 26, 2013 by Paula Green. Turbine: Time to get your poem pens in action and send submissions to the online magazine produced by IIML at Victoria University. 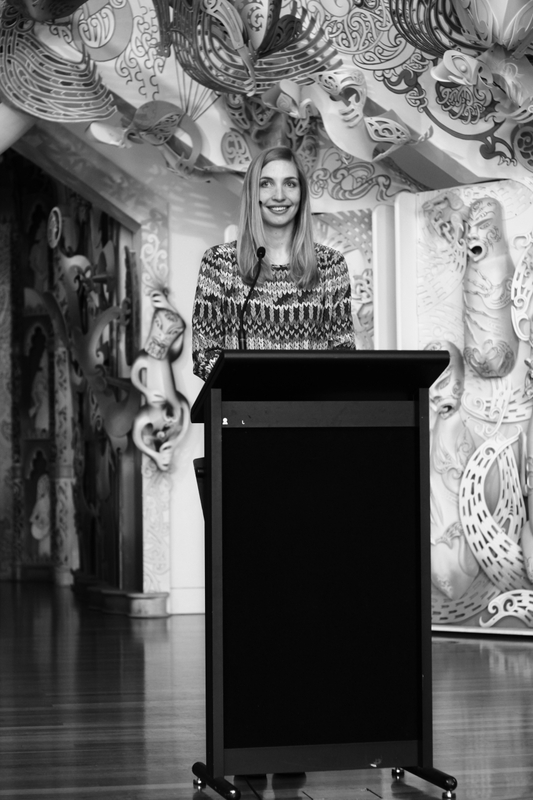 Only material that has not yet been published in New Zealand will be considered. Prose: short essays or fiction pieces are preferable, to a maximum of 2,500 words (longer pieces may be considered at the editors’ discretion). Send only 2 pieces. Poetry: Send only 5 poems. As a non-profit publication, Turbine is unable to offer payment for contributions. For all accepted material, copyright will revert to the author upon publication. The reading period for the 2013 issue of Turbine will begin July 1, 2013. Please do not send submissions before this date. Submissions for the next issue must be received by October 19, 2013. This entry was posted in Poetry and tagged Turbine on September 26, 2013 by Paula Green. 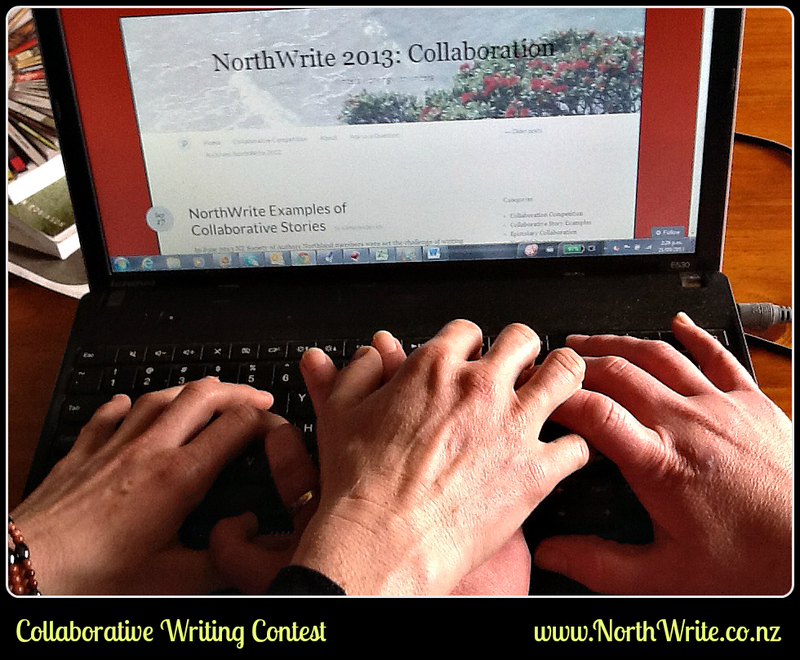 The NorthWrite2013 collaborative competition for short stories and/or poetry is now open for entries and closes at midnight (NZ time) 15 November 2013. Entries received after this time will not be considered. Judges are Michelle Elvy and Tim Jones, and there is a minimum prize pool of $500. There is an entry fee of $20 per entry which is equivalent to $10 per person since each entry must be a collaboration between two people. · The competition is open to all New Zealand citizens and residents, and each entry must be the combined work of two people. o Story: Either one story (maximum 750 words) written collaboratively, or two stories (total word count not to exceed 750 words) where one has been written as a response to the other. o Poem: Either one poem written collaboratively (maximum of 60 lines) or two poems (total number of lines not to exceed 60) where one has been written as a response to the other. o Combination: One poem (maximum 30 lines) and one story (maximum 325 words) where one has been written in response to the other. The official full rules, regulations and submission details can be found here. This entry was posted in Poetry and tagged Poetry Competitions on September 25, 2013 by Paula Green. 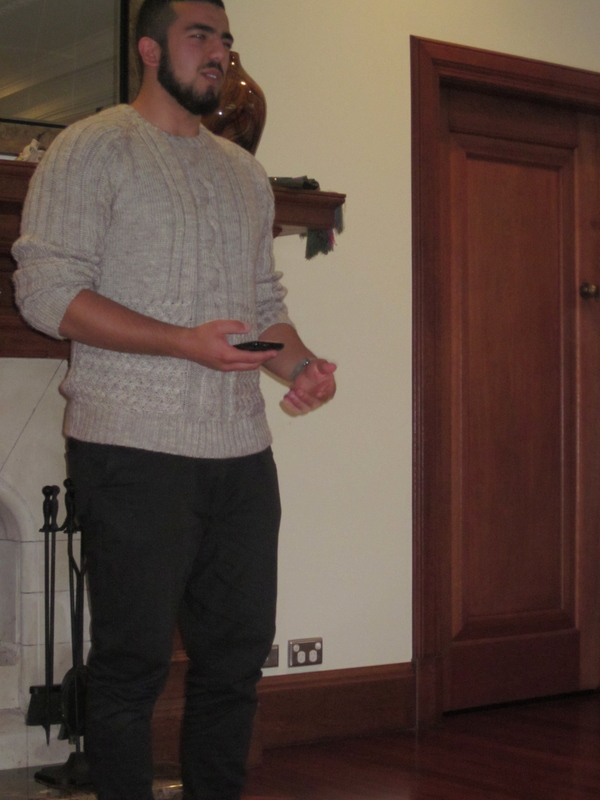 Auckland Libraries and the NZ Electronic Poetry Centre (nzepc) present a poetry reading by Adam Aitken, Ali Alizadeh, Jen Crawford, Ya-Wen Ho, David Howard, Susan Schultz and Ann Vickery as part of the the Poetry as Social Action Symposium at the University of Auckland. MC is Australian poet and critic Pam Brown. Welcome glass of wine at 5.30 pm, readings start at 6pm. This entry was posted in Poetry, Poetry Events and tagged Poetry readings on September 23, 2013 by Paula Green. 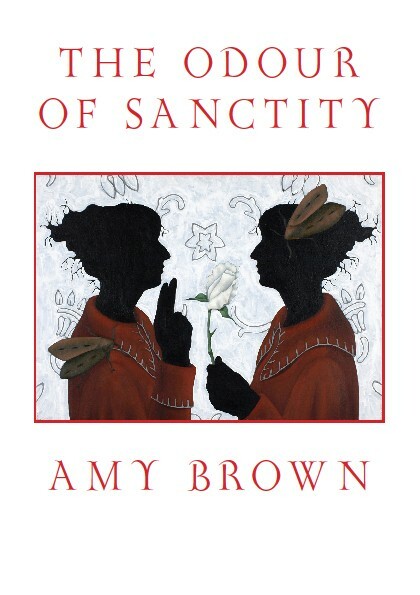 Amy Brown‘s debut poetry collection, The Propaganda Poster Girl, was shortlisted for the Jessie MacKay Award for Best First Book in the 2009 Montana NZ Book Awards. It introduced a fresh new voice, and Amy went into my head compartment of poets to watch. Her second collection, The Odour of Sanctity, moves into different territory and forms part of her Doctoral submission on contemporary epic poetry. She is currently teaching at the University of Melbourne. This new collection is challenging, intricate, assured. It takes the reader on a roller-coaster trip through the lives of saints, but these six saints are not what you might expect in a catalogue of sainthood. You have Jeff Mangum from the indie rock group Neutral Milk Hotel (nowish), Victorian poet Christina Rossetti (150 years earlier), memoirist and mystic Margery Kempe (four centuries before that), Saint Elizabeth of Hungary (1231), Saint baby Rumwold who spoke nonstop during his three-day life (662) and Saint Aurelius Augustine (300 years prior to that). This backward trawl through time nets some surprising results. I am no scholar of Catholicism, but I am a student of poetry. The central ways in which this collection acquires an invigorating poetic force are through juxtaposition, (metonymical shivers), acute detail (anchorage in the real), shifting narrative voices, political under-and-overcurrents, and a vital heartbeat (providing little emotional kicks). Each candidate represents his or her own minefield of difficulty and strength, but the compounding effect of goodness and weakness is to be found in the gaps between the candidates. The six cases fit into a structure of six parts and an envoi that might well echo the formal pattern of a sestina. Such a structure calls for semantic ripples, musical rhyme, and rebound at the level of feeling. And so it is, as the collection pivots and swivels on notions of good. Jeff Mangum is making music to save himself, using his obsession with Anne Frank as fuel. He imagines unbearable loneliness. In Amy’s words, ‘Music is everything. God is nothing.’ Yet this drive to make music unwittingly unmakes him — leaves him stranded and unable to participate in the world. Daringly, Amy selects the way Jeff might be awarded sainthood (even though he is alive) in his struggle to be good. She picks the way his music kickstarted a dead heart back to life as the miracle. This might subvert the Catholic criteria for sainthood, but it also might be the point. Read this as a poetic narrative, but also read this as a challenge to orthodoxy. The word ‘odour’ lodged so tauntingly in the collection’s title underlines the way that this book is as much about stench as it is about sweetness. Goodness, miracles, humility, compassion, and faith can be located in the grit and grime, and everyday detail. The church itself has a history of goodness (compassion, forgiveness, charity) that can also be matched by a history of foul play (treatment of women, corrupt relations with political power, greed, abuse). In other words, Amy places ‘goodness’ under a critical spotlight. What is ‘goodness’ when it comes to ‘sainthood’? Is it a matter of piety, eating frugally, caring for others (and animals), compassion, sacrifice, humility, an erasure of ego and desire, chastity, a state of holiness and piety, an ability to perform miracles? It seems to me, a contemporary epic poem is the perfect place to reconfigure notions of good and sainthood (albeit in a secular fashion). The Odour of Sanctity offers much on an intellectual level along with the poetic veins that I signaled earlier, but it also takes grip of your heart as you enter the unbearable world of the candidates. There is the dissolution of Margery as she wants to be without stain, supplicant to God, to be bodiless and celibate. Yet she bears countless children and countless wounds from her husband. She stands in for female suffering, and as you hold her case close, the yearning for such erasure is both heart wrenching and unfathomable. Amy has delivered a collection that takes hold of you on numerous, overlapping levels. To me, it is a collection that will provoke and prompt numerous arguments on what it is to be good and what it is to be a saint, whether male or female, dead or alive, religious or non religious. There is a sextet of voices at work (so beautifully crafted by Amy) and more (for example, the contemporary witnesses, God). It is in the rub of this voice against that voice, that the pathos, the grief, the pain and the sour smell of humanity unsettle the sweet potential of good. The Odour of Sanctity is an astonishing example of a contemporary epic poem. There is a plainness of language that gives birth to a sumptuousness of effect. I am not interested in what the collection does not do, but in what Amy has chosen to get it to do. I loved it. 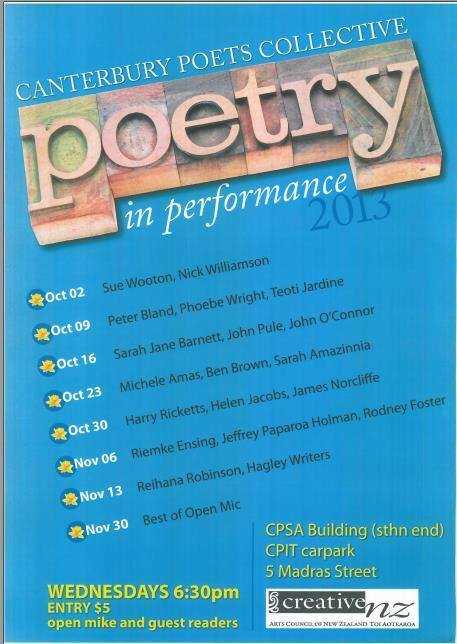 This entry was posted in Poetry and tagged Amy Brown, NZ Poetry reviews on September 18, 2013 by Paula Green. Four of the 2012/2013 Rising Voices and UoA Slam winners and finalists entertain – I have heard two of these live and they are terrific! This entry was posted in Poetry on September 18, 2013 by Paula Green.